We had 2 great weeks in #217. We loved our stay at the Napili Bay Resort. We had everything we needed in a well appointed and comfortable studio. Not a lot of room, but it only mattered on rainy days - otherwise the beach was steps away and it was heaven being able to grab our chairs and umbrella and camp out there for the day - the unit was close by to go back for drinks and snacks. The whales and dolphins came out to play not far off the beach, and snorkeling was great. #217 was clean and updated. No air so it could get warm, but the fans usually did a great job of cooling down the room. Appliances are new, the bathroom is newly renovated and clean, aside from some beetles that come out just at night in the bathroom - still not sure where they came from but they disappear in the morning. Parking is really easy, laundry and BBQ facilities are close by and overall the grounds are really well kept. We definitely recommend this unit. Anyone would be lucky to stay there! 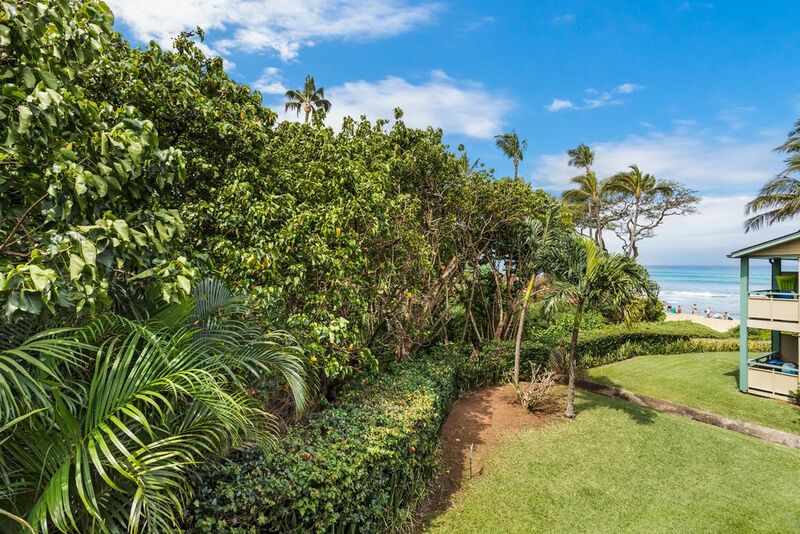 Napili Bay is our favorite beach on Maui, and this Condo is our new favorite place to stay. It has everything you’ll need, and it’s right on the beach. The condo was perfect for us, clean, updated, comfortable. Thank you for the welcome gift basket, Jim!! We had a wonderful stay at beautiful Napili Bay, we will definitely be back.